The official WordPress app was available on Windows Phone 7.x and stayed in the store through Windows Phone 8.1 before vanishing without a trace. The app has not made a return, leaving Windows users lacking another productivity tool that is readily found on iOS and Android. Ultimate WordPress from Global-Soft fills that void nicely, bringing all of the great functionality you could find in the official app back to the Windows platform. Let’s face it, running a website is not easy, so being able to do it from the comfort of your smartphone is almost a necessity nowadays. With Ultimate WordPress, you can edit, publish, and view all of your posts and pages, giving you an uncompromising view of everything you create. Of course, you can also create new posts and pages right from your phone. The functionality of Ultimate WordPress is made even better with the Bluetooth keyboard functionality offered natively in Windows 10 Mobile (and the Lumia 640 and 640 XL running Windows Phone 8.1 Update 2). If you’re away from your tablet or PC, you can still be very productive. The comment functionality is there as well, so if you use the native WordPress comment system on your blog or website, you’ll be able to view and respond to comments on your smartphone directly. This certainly makes things easier for people who need to multi-task and can’t always be in front of a computer screen. Ultimate WordPress is fast, stable, and easy to navigate on any device, large or small, but I found it particularly delightful on the Lumia 640 XL’s 5.7″ screen. Really, the only bad news here is the fact that Ultimate WordPress isn’t the official app. While the functionality is all there, the loss of an official app on the Windows platform is not easy to overlook. Hopefully, WordPress will see fit to return to the platform with a more stable and better experience for users. Until then, Ultimate WordPress fulfills virtually everything we need with flying colors. 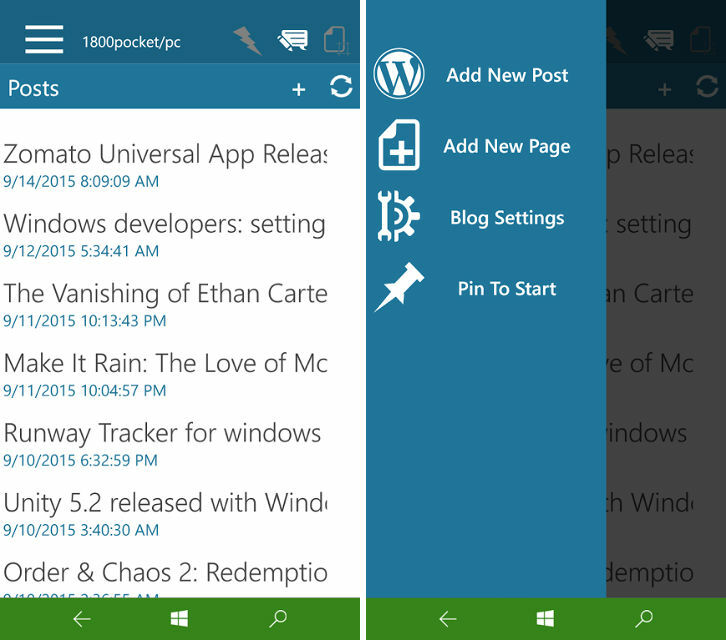 Download Ultimate WordPress for Windows 10 Mobile via the QR code and link below. Try iPress For WordPress. It’s new and looks very promising.